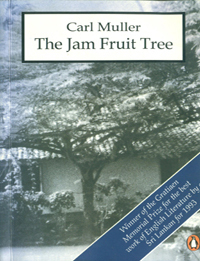 Carl Muller a Burgher and author of The Jam Fruit Tree was born in Ceylon and is an award winning author. 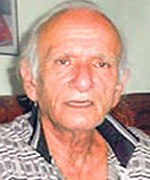 He took up journalism in the 1960s and worked for leading newspapers in Ceylon and the Middle East. He now lives in Kandy. Leah was telling Beryl: “fine one, that George. Telling yesterday ‘Go straight to the market and buy a chicken for lunch’. How, child, to go straight the way he is telling? So I told ‘How to go straight men? Must turn, no? When come to top of the lane and again turn to Manning Place and then again turn to the poultry place, and if turning over like that, how to go straight?’ And he saying ‘You’re a damn fool, men’ in front of the children also. One thing, I don’t know what’s wrong with these men. Just see how Sonnaboy went. Very good if planes fell on his head. And how the way he came running? All big talk only. So how? Anymore children coming? Don’t allow, men. Already have four, no? Last week he is coming home and grumbling that three girls coming one after the other and next time must get boy. Easy for them to say, no? We are the ones with all the pains the big stomachs and all. I told George no more nonsense. Enough, men, two. Think of all that have to do even for these two. 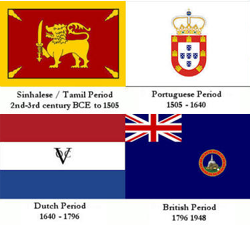 And who knows with this war and all, how we will manage? One thing, George is careful. Yesterday also he said ‘Good if have no more children’. And Ivor also sickly. Giving, men - all the nourishment - but always getting something. And if get cough and cold, will go on for how long I don’t know. Whole night going hacker – hacker and crying and no sleep for anyone. One thing, children are real problem, men. Elsie won’t keep quiet. If the children are too much, she hammers. Whole trouble is we are too kind. Everything seeing to. Asking anything, we are giving. And George won’t even correct them. Telling ‘you’re the mother, you correct’. Fine thing, no? Everything on my shoulders putting. But one thing, thank god, they are all right in school. Nuns saying that Marlene is very good and learning nicely. How your lot? That Carloboy looks a real devil, no? But must be bright. For that my Ivor. Very slow, men. Only likes to torment his sister and hiding her pen and homework book and then big fights.